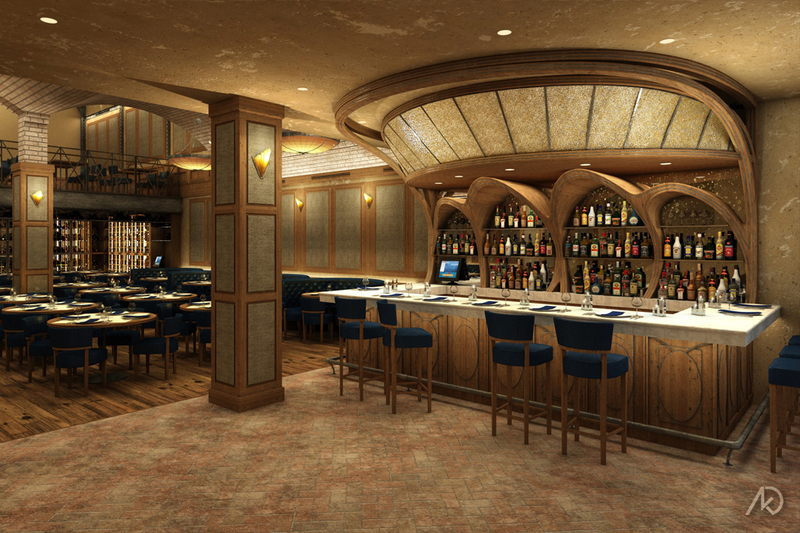 The Arlington Club, designed by ICRAVE, is a steakhouse restaurant located on the upper east side of Manhattan. 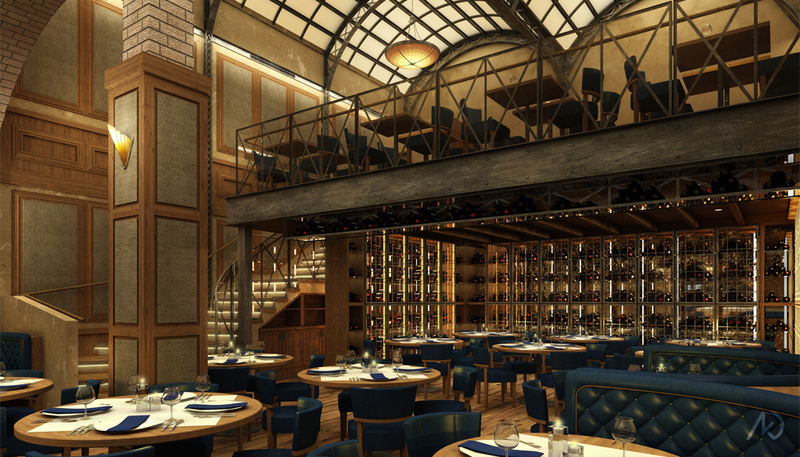 The design contains a main dining room, mezzanine dining, an illuminated ceiling truss assembly, and a very elaborate and organic entry bar. These images were used as design/design development renderings for the project. There were many variations of these two scenes as the design was constantly evolving; the images shown are not quite the final design, but very close. All items in the scene (except for the wine bottles) were modeled, textured, and lit by kk. 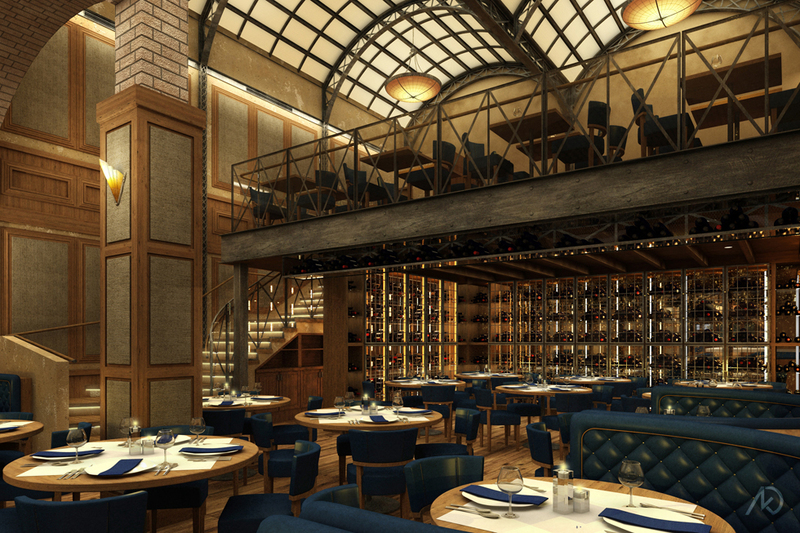 The main dining room view shows the arc-shaped banquettes, the wine storage, the mezzanine dining area, and the second floor ceiling assembly. The ceiling assembly is an illuminated barrel vault with steel truss supports. The entry bar was modeled from an early schematic sketch. The sketch displayed a very organic structure that had tree-like qualities as a back-bar/bottle shelf. After some design development the bar was able to retain an organic motif while meeting the requirements for storage and construct-ability.